WURC has made great progress with the UN based on Eng. Jorge Spitalnik laying the foundation as the first WFEO representative at the UN Commission on Sustainable Development in the last decade and thereon at the Rio+20 Conference that led to the creation of the HLPF. WFEO had an active participation at the Rio+20 Conference allowing the contribution of the Engineering community to sustainable development deliberations in the position of an important stakeholder. The CSD met annually in New York, in two-year cycles, with each cycle focusing on clusters of specific thematic and cross-sectoral issues, outlined in its new multi-year programme of work (2003-2017). The CSD opened its sessions to broad participation from both governmental and non-governmental actors and supported a number of innovative activities, such as the Partnerships Fair, the Learning Centre and a series of panels, roundtables and side events. The High-level segment featured dialogue among Ministers, and Ministers also held a special dialogue session with Major Groups. The first three meetings in 2006-07 focused on issues related to Energy for Sustainable Development; Industrial Development; Air pollution/Atmosphere, and Climate Change; those in 2008-09 to Agriculture, Rural Development, Land, Drought, Desertification, and Africa, and those in 2010-11 to Sustainable Consumption and Production, Transport, Chemicals, Waste Management, and Mining. At the request of the UNCSD Secretariat, the Committee contributed the WFEO position on several issues for the preparation of the UN Secretary General’s Report to CSD-15, CSD-16, CSD-17, CSD-18 and CSD-19. Also, the WFEO delegation produced together with ICSU, discussion papers for each of such meetings stating the positions of the Scientific and Technological Community on the issues under discussion. The Scientific and Technological Community, made up by WFEO and ICSU, is one of the Major Groups of Civil Society recognized by the U.N. system. At CSD-17, the Energy Committee co-sponsored, together with the Engineering and Environment and the Capacity Building Committees, the side event on “Capacity Building: Words Into Action” to discuss issues on physical, social & economic infrastructure related to Agriculture, Rural development and Land. 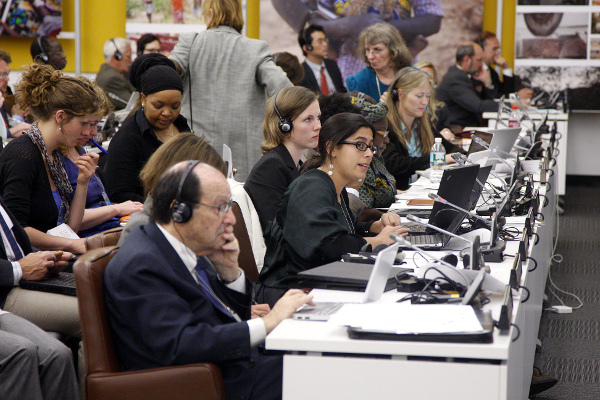 This event was held on 6 May 2009 and engaged 71 delegates and members of major groups from more than 20 countries who considered perspectives on effective capacity building actions to deal with such issues. On the occasion of CSD-18, WFEO held a side event on “Transport Efficiency and Waste Avoidance – Input for Policy-Makers”. This event that took place on May 4, 2010 was organized by the WFEO Standing Committees on Energy (CE), Engineering and Environment (CEE) and Capacity Building (CCB). At CSD-19, these Standing Committees organized on May 6, 2011 a WFEO side event on “State-of-the-art, Innovative and Sustainable Technologies in Waste Management, Mining, Transport and Chemicals”. The position sustained by the WFEO delegation has been to provide the technical expertise required for searching feasible solutions on issues under discussion and to stress the need for serious observance of scientific principles and engineering criteria when proposing actions on sustainability and development matters. The Committee on Energy was responsible for organizing the WFEO participation at the Innovation Fair held during the Ministerial ECOSOC Session, from 30 June to 3 July 2008, at United Nations Headquarters in New York. This was done with the collaboration of the Committee on Engineering and Environment. The WFEO Exhibit displayed projects sponsored respectively by Engineers Canada and FEBRAE (Brazil). Also, on July 1st 2008, WFEO, Engineers Canada, FEBRAE and CONFEA, with the support of AIChE, ASCE and ASME, held, as a side event, a Panel on “The Role of Engineers in Advancing Sustainable Development: Working Towards Achieving the Millennium Goals”. The Energy Committee was also engaged in implementing the WFEO participation at the 2009 ECOSOC Innovation Fair to global public health. The Fair was held at the Palais des Nations, Geneva, from 6 to 9 July 2009.